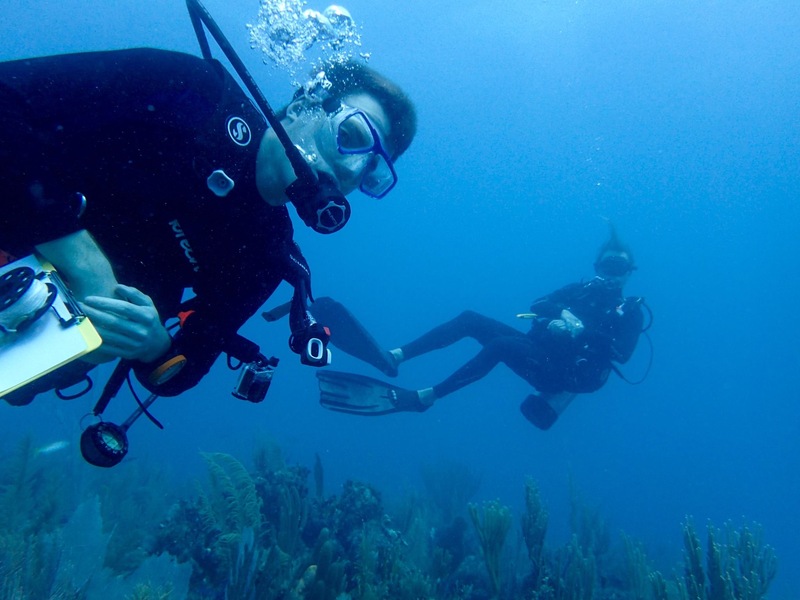 Marine scientist Andrew Babbin’s group scuba dives in Cuban waters for a closer look at the biogeochemistry in pristine corals. Caribbean waters around Cuba host some of the world’s most beautiful coral reefs, protected from coastal development and tourism for years. Now, warming relations with the US has allowed for the first joint American-Cuban scientific expedition to explore these reefs. Last November before the US revised its travel policy with Cuba, a research team comprised of seven scientists from MIT and the Woods Hole Oceanographic Institution (WHOI), and 10 Cuban scientists from Universidad de la Habana and three government agencies: Instituto de Ciencias del Mar, Empresa Nacional para la Proteccion de la Flora y la Fauna, GEOCUBA Estudios Marinos, were granted access to Jardines de la Reina aka “Gardens of the Queen.” Their research vessel Alucia was the first non-Cuban ship permitted to conduct comprehensive research within this restricted 840-square mile marine park. Amy Apprill, a marine microbial ecologist who works on the microbiome of corals at WHOI, co-led the 23-day cruise with Cuban scientists. 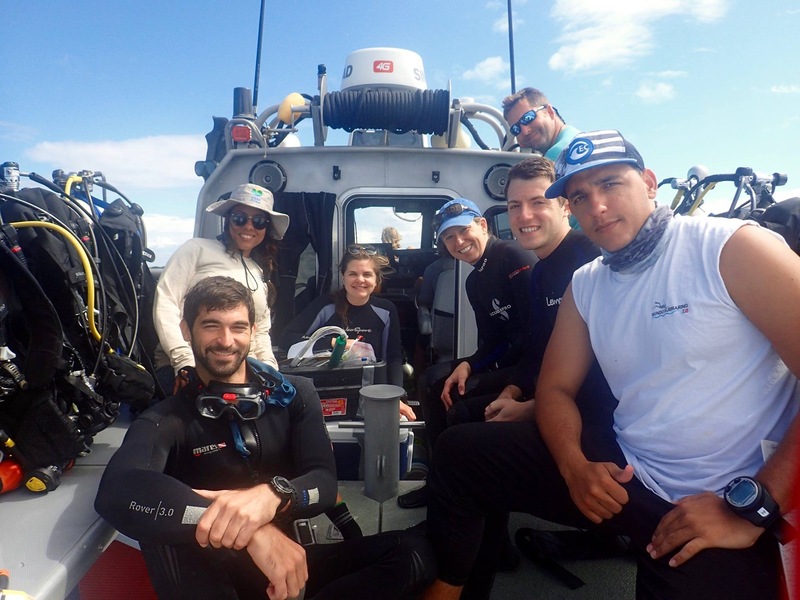 She invited Department of Earth, Atmospheric and Planetary Sciences assistant professor Andrew Babbin and MIT-WHOI Joint Program graduate students Tyler Tamasi, Kalina Grabb and Laura Weber to collaborate, examining the nitrogen cycle in the corals. 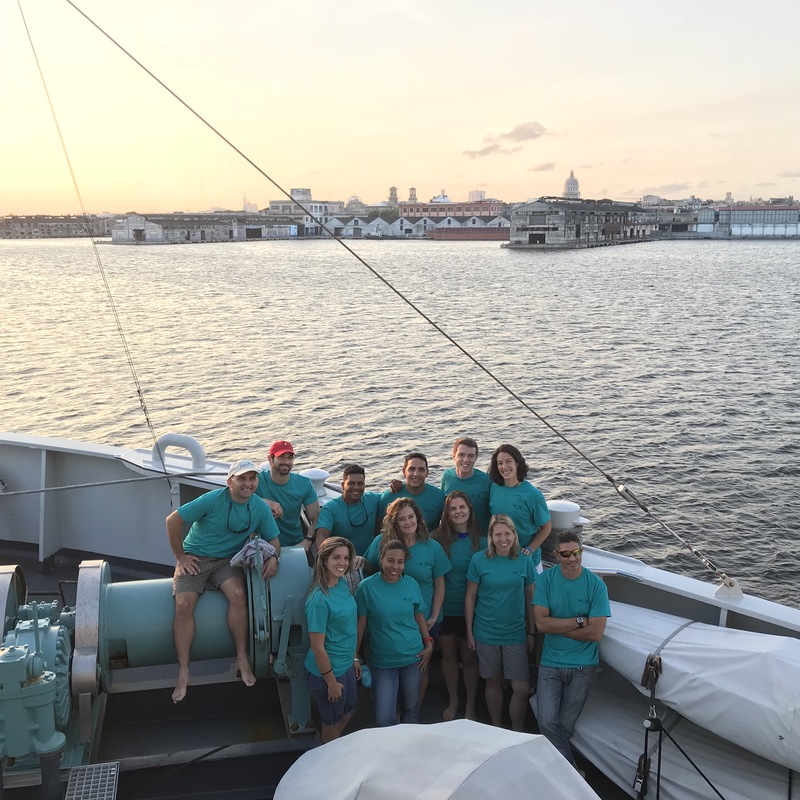 As a marine biogeochemist, Babbin’s research focuses on nitrogen pathways, with a particular interest in the processes that return fixed nitrogen in the ocean back to nitrogen gas. 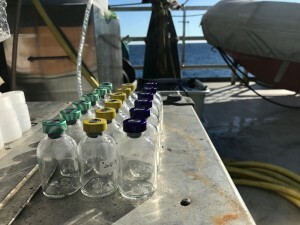 This work helps scientists to understand the controls on marine productivity, the chemistry experienced by microbes on the reef and the ocean’s potential for storing carbon. 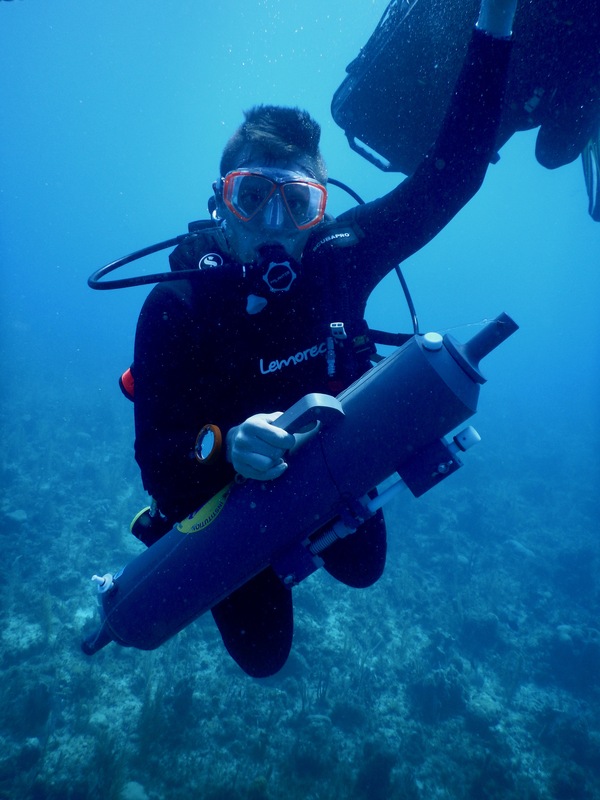 Oceans@MIT spoke with Babbin about his work in Jardines de la Reina and what he hopes to learn about the marine nitrogen cycle. Why did you choose to study the nitrogen cycle in Cuba’s Gardens of the Queen? It was definitely a unique experience, both because our lab has never researched corals before and because of the opportunity to actually explore this Cuban system, which for geopolitical reasons is not a common occurrence. So that was absolutely amazing. It’s kind of a unique system in that way, and Cuba has two main coral systems: the Gardens of the King in the north and the Gardens of the Queen in the south. The King is much more subjected to tourism, hurricane damage and outflows from cities, whereas the Gardens of the Queen are very much pristine, so the reefs there were spectacular: the numbers of species of coral, the amount of coral-cover. Everything was so alive, vivid and stimulating a ton of fish and productivity. These regions seriously might be the best reefs in the Caribbean from a functioning, ecological perspective because they’ve been so well protected. We’re really interested in how this system functions. We were there to try and understand how the nitrogen cycle and the microbes that are associated with it affect the underlying chemistry for all the macro-organisms that you see: all of the coral and their algal symbionts, up to the fish in the higher trophic levels. It’s all driven by the underlying chemistry and the microorganisms that transform different forms of nitrogen. People have been making assumptions and thinking about individual metabolisms [of nitrogen compounds], but not necessarily in the whole context. So there’s a gazillion different metabolisms, all related to the nitrogen cycle. There’s nitrification, denitrification, anammox, nitrogen fixation, I can go on, and individual studies would look at, say, one or two of these rather than the system as a whole. We were focused on trying to understand the biological rates at which organisms transform their environment: what metabolisms are actually at play within this reef structure. The water around the reef is pretty poor in nutrients, meaning that it’s a super efficient system. Part of the reason why these reefs are so beautiful is because things don’t really grow in the overlying water. If there’s some molecule of ammonium, it’s snarfed up immediately. So what you can tell from the water chemistry is not necessarily the best indicator of how the reef functions. It’s really the flux or the rates of nitrogen transformation from one form to another that are much more important. There’s a huge flux [of nitrogen] that we know of. It’s a finely tuned system. So you could have some immeasurably small ammonium concentration, but the rate at which that ammonium is produced and then consumed can be extremely high. As long as those rates are equal, you would never measure any accumulation within the water column itself, and that’s why we are trying to measure the biological rates rather than just the chemical concentrations. Ammonium, one of the nitrogen compounds, is readily available for growth. Nitrate, another one, is also pretty utilizable, but requires extra energy in order to actually create a protein. Nitrite is mostly available but can be highly toxic to fish. N2, one of the products of denitrification and anammox, is pretty much inert to almost all life. So, how this system cycles tells you something about the health of the system, and the amounts of nutrients, in terms of nitrogen, that are available for the whole ecosystem. How much organic material you can make is limited by how many nutrients you have to start with. It’s the same premise behind fertilizing croplands. There’s also a fundamental underpinning that certain physical “state” variables like temperature have in controlling biology: You increase the temperature and almost everything goes faster. Yet reef organisms—the corals themselves—tend to be primed to be really happy at a very narrow temperature range. We are really interested in how these parameters—temperature, pH and oxygen—affect the microbiology and the biogeochemistry to try to understand how all these stimuli interact with the environment to create what we see, whether it’s in this specific coral reef or the ocean as a whole. In the morning, we would dive and collect some small snippets of coral, both the fleshy part as well as the calcium carbonate structure that they create. The team sampled different species of coral to try to investigate how the specific microbiome associated with individual coral species contributes to the health of the coral reef. We selected five different coral species based on the fact that they were abundant and they were kind of unique in how much mucus they produced. We were curious as to the role that this mucoid layer has in affecting the underlying biogeochemistry of the coral because it acts as a barrier, restricting diffusion in or out. If you have some molecule that you want and it’s near you, it will stay near you for longer, and if you have one that you want, but it’s not near you, it takes a while for it to get there. So, you can change how fast things happen. We were trying to understand the role of oxygen supply on nutrient cycling, controlled potentially both by mucus content and by light. During the day, the reef algae are photosynthesizing and producing oxygen. At night that’s shut down and net respiration or consumption of oxygen takes over, creating a diurnal variability of oxygen concentrations. Oxygen is one of these fundamental parameters controlling life. Us without oxygen, we suffocate. Microbes without oxygen, many of them are able to switch their metabolism. We’re curious as to whether this is happening more at night versus the day based on the fact that oxygen concentrations should be lower, and so we did various experiments where we modulated the light levels. 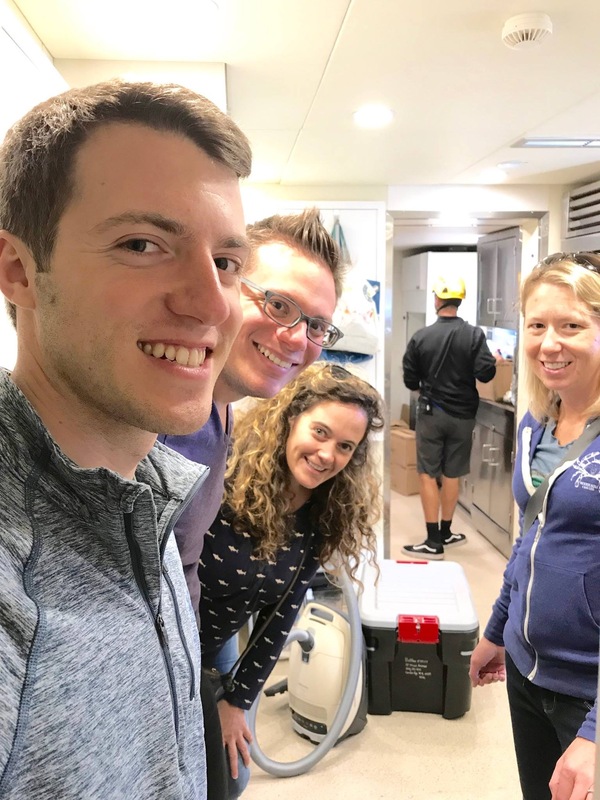 After diving, we brought the coral samples back on the ship’s deck, transferred them into small individual incubation chambers, and allowed them to incubate shipboard in large tanks flushed with running seawater to maintain the temperature they experience in the ocean. Then we allowed them to incubate under a normal day-night light cycle or layered them inside opaque black plastic bags to stop photosynthesis altogether. In each chamber we had a piece of coral and fresh reef water, to which we added some isotopic tracer of ammonium, nitrite, or nitrate. These are the three different forms of inorganic nitrogen that are readily found in the marine environment. What we can use to our advantage is the fact that most nitrogens in nature have a mass of 14, but these heavy tracers that we use have a mass of 15. We’re able to tell the difference between 15 and 14 using a mass spectrometer back in the lab. So we would inject, say, 15 ammonium tracer and then let this incubate over time, for a day, to observe how reef microbes transform that ammonium and at what rate. At the end of the day we’d sample the incubations and preserve the water to be sent home, where we’ll measure them for multiple different nitrogen species. From ammonium, we can measure nitrite and nitrate to get rates of nitrification. We can measure N2 gas to get rates of anammox. For the nitrite tracer, if we measure nitrate, we get rates of nitrite oxidation. If we measure N2 or N2O, we get rates of denitrification. From this suite of three different tracers and all of the different compounds that we can measure, we can get something like ten rates, all simultaneously, of what’s going on in terms of shaping this nitrogen cycle within the reef. In essence we’re measuring what exists in the water itself. Most of the biology is happening within the structure of the coral. Whether it’s within the coral, the epibiont or the surface of the coral, it kind of doesn’t matter. Imagine that you have a reactor full of water, and then you have changes happening within this whole plug of water. Even if the reaction happens in one small part of this, mixing means that you’ll still see the signal within this overall volume. 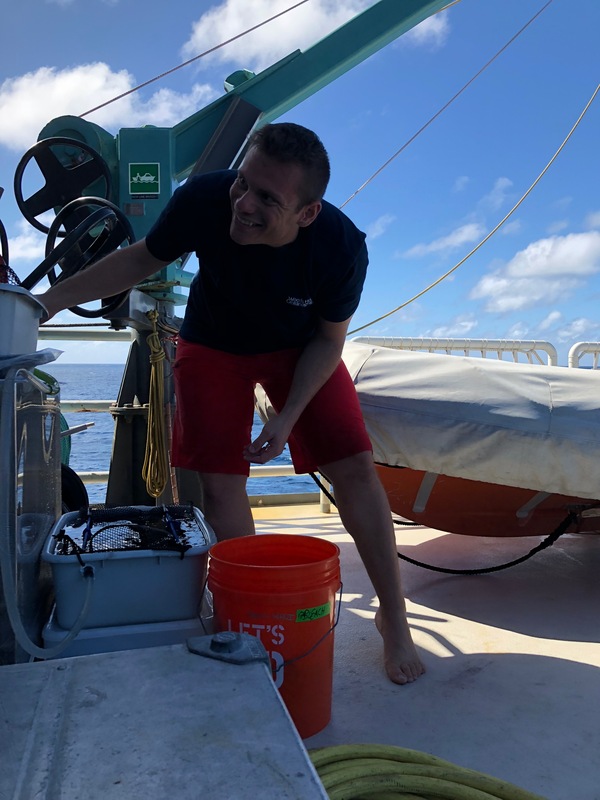 We definitely took samples for water chemistry as well, but the concentrations of nitrogen compounds within the seawater are outrageously low relative to pretty much anywhere else in the ocean. 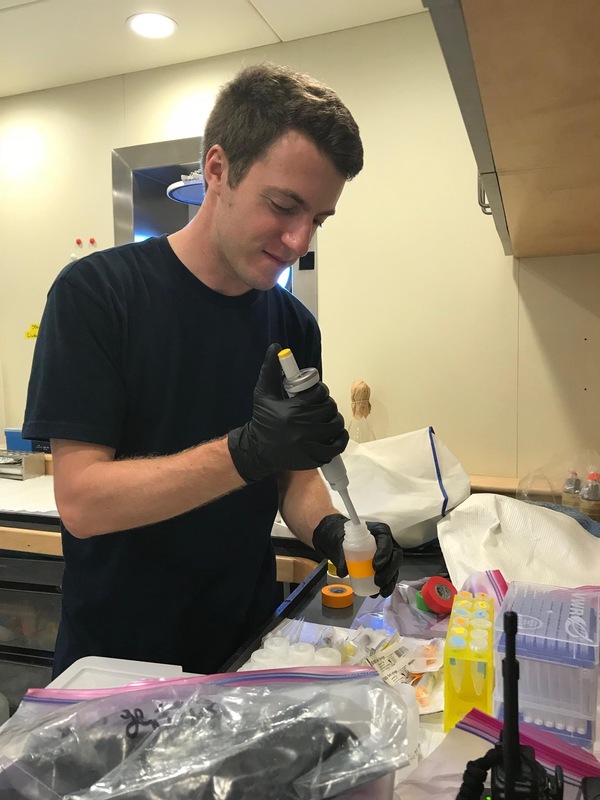 Once the samples are back, Tyler Tamasi, who’s the grad student in my lab and the MIT/Woods Hole Oceanographic Institution Joint Program doing this research, is going to then start analyzing these samples for these products using the mass spectrometer. He has to do various chemical and biological transformations in order to measure exactly what product we want to measure. There are unique methods associated with whether we measure ammonium or nitrite or nitrate. That will be done over the next few months. We have a few hundred samples from this trip to obtain rate data, and then we can start thinking about how these rates all interact and what the implication would be for nutrient chemistry within these reefs. What have other researchers found with regard to the nitrogen cycle, how do you think your work will compare, and what are the next steps to this project? Based on previous observations, people definitely assume various things with regard to corals and their functioning: whether one process is important and another is simply not as important. But if there’s one thing that we’ve learned about the nitrogen cycle in the ocean, it’s that the more you look, the more you get confused. The more you assume that something’s not important, the more you recognize, oh, that’s most important thing. Or we know this group is doing everything, and then there’s this one that also exists and, wait, they’re actually an order of magnitude more important than the ones that everyone thought were doing everything. These are all advances that have happened in the last ten or twenty years. Anammox, one of these processes by which bioavailable nitrogen is removed from nature, wasn’t known in the marine environment until the early 2000s. Also in the early 2000s, there was this massive switch between what organisms were responsible for ammonium oxidation: It wasn’t actually bacteria, but it was archaea, this other completely different branch of biology. There are all these tumultuous upheavals of what we “know” about the nitrogen cycle, and so that’s why I favor this holistic approach, where we don’t make any a priori assumptions of what may or may not be an important process. Let’s just measure all of them. I’m sure that there are high rates of nitrification. Nitrification requires oxygen, so when we added ammonium, I’d bet a lot of it went to nitrite and nitrate. The thing that I don’t know is whether denitrification was important, which was an underlying question that we had. Denitrification takes these bioavailable forms of nitrogen, mostly nitrate, and converts them to N2 gas, which is generally inert. Denitrification acts as some kind of limitation for the productivity of a reef. The environment is primed to act well within what it has; it’s changes or perturbations that are problematic. Denitrification keeps those free nutrients down, which would limit the ability for a macro algal bloom to overtake the system. We’re also curious as to whether—within the coral tissue, because of mucus or excess respiration over photosynthesis over a diurnal cycle—you get these pockets devoid of oxygen, which would allow denitrification to take place. These denitrifying bacteria, they just switch to using nitrate as their oxidant and start cleaving oxygens off of the nitrogen oxide. That then has an implication for how everything else functions, because if something else would have used that nitrate in order to make a protein, this denitrifier used that nitrate to get energy and spit out N2. Thus you have the dual role of nitrogen: You use it to make biomass (proteins, DNA) or you use it for energy, the product being that it’s now lost to the system. The balance of those reactions tells you something about how the reef functions. This is our lab’s first foray into coral reef research. Everything that we’ve done and everything the lab has thought about deals with the open ocean and less time-variable problems. The reefs are an additional system where the same nitrogen processes are in play, but now we have this temporal element added on. We’re curious as to the net reaction mechanism of this whole structure in setting the health of the reef, whether it is how the reef is functioning now or how it responds to some stimulus like a hurricane, acidification or a nutrient dump. But before we get to those anthropogenic impacts or the climate variability, we need to know what the baseline is, so that’s what we’re looking to establish at this point. It would be fantastic to go back and learn from what we did here: what worked, what didn’t work, what could be fine-tuned to try to make this better. Hopefully now we’ll have some base case for how these various coral species within this region function, and then we can start looking at some less-healthy corals. Maybe there’s something different about the ones that are looking a little peckish or actually bleached that will change exactly how this system functions and the feedbacks associated with that. We’d also be interested to follow up and get some time-variability information. It’s hard to make grand conclusions about how the ocean functions from a snapshot in time. It’s always good to have more than one data point. Andrew Babbin is a marine biogeochemist, working on the nitrogen cycle, and especially on the processes that return fixed nitrogen in the ocean back to nitrogen gas. This work is relevant, for instance for understanding the controls on marine productivity and the ocean’s potential for storing carbon.